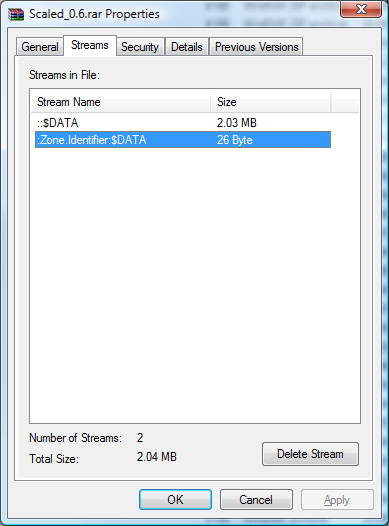 StreamInfo Shell Extension is a Windows Explorer shell extension that displays all NTFS streams and their sizes as a property-sheet of a specified file. Since shell extensions are platform-specific there are two dlls, one for 32bit Windows and one for 64bit Windows. To install, unrar to desired folder and run register.bat. To remove the shell extension run unregister.bat - a restart might be required before the dll can be deleted. Currently the property sheet is displayed on all drives, regardless of stream support. If no streams are supported, the page will be empty.